A commonly told legend that adds to much of China’s history concerning famous warriors, generals, monks, and even mystical creatures, is that of Zhang Sanfeng. Zhang Sanfeng, a daoist priest, during the 14th century, was finishing up his martial arts practice, decided to rest under a tree. He was jolted awake by the loud screeching noises of a crane. He spotted the crane engaged in a deadly battle with a snake. The snake, coiling and uncoiling smoothly, would strike out with blinding speed at the crane, which would push this attack aside with a brush of its wing. Then the crane would strike with its beak, but the snake would nimbly move out of range. As the fight wore on, the two animals both came to realize they were matched, backed away and parted ways, neither one the victor. Zhang had an idea, one that formed and took shape as these animals fought. why not translate their fighting techniques to human form? The soft, supple movements of the snake’s body and the crane’s wing could be imitated, along with fast, explosive strikes. The yin and the yang, the essence of Taijiquan (Tai Chi). Chen style was named after general Chen wanting of Chenjiagou (Chen village) in China. General Chen was a royal guard before he became a general, he lived in the 17th century and developed this style when he needed a combination of “soft” and “hard” techniques to employ in battle. It is said that he heard of the infamous snake and crane battle that historically is said to have laid the foundations for Taiji (Tai Chi). General Chen kept secrets within his family for many years, until the appearance of one of his most famous pupils, Yang Luchan. Chen style tends to be more martial in its approach to the exercises, with lower stances, fast-like movements are interspersed throughout the forms. Within its curriculum, Qigong (Chi Gong) and silk reeling is also taught. 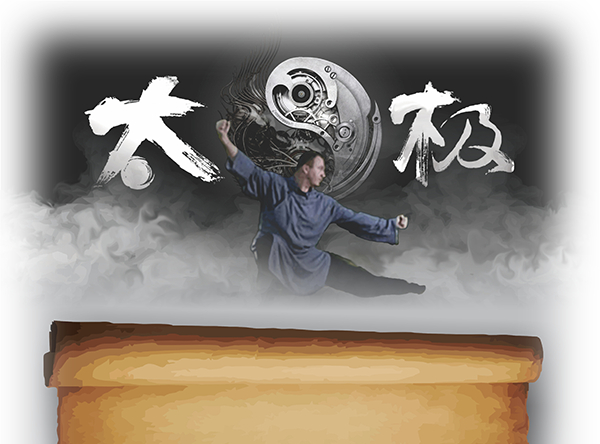 Chen style Taiji (Tai Chi), is considered to be the source and senior branch from which the five main branches of Taiji stem from. These include: Yang, Wu, Sun, and Wu (Hao). Nothing compares to the health benefits of Taiji (Tai Chi), its beauty, and overall connection to one’s mind and body. It is considered the treasure of Chinese martial arts!